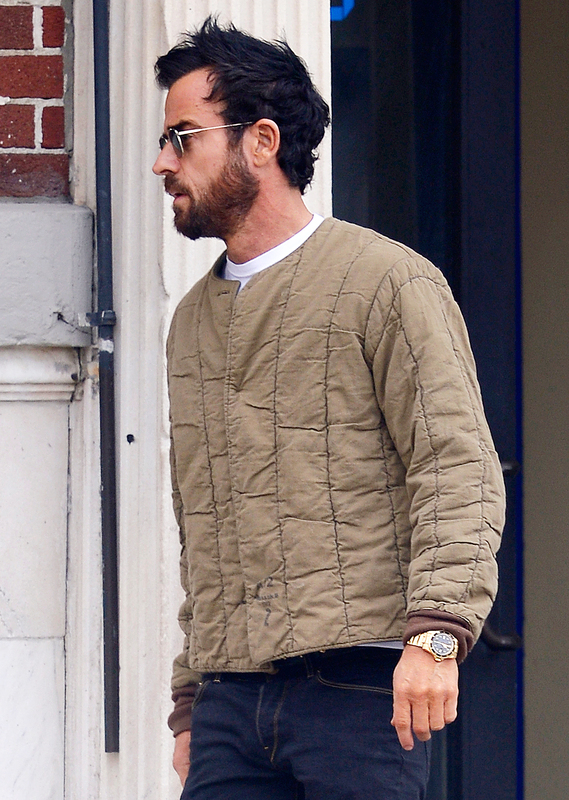 A day after Jennifer Aniston was seen without her wedding ring, Justin Theroux stepped out without his. The Leftovers actor, 46, was spotted sans ring on Thursday, March 1, in New York. City. Theroux wore sunglasses, an army-green jacket and had a serious look on his face. The Friends alum, 49, meanwhile, was all smiles leaving BFF Courteney Cox’s home in Beverly Hills on Wednesday, February 28. Theroux also stepped out in New York on Monday, February 26, at the gym and grabbing coffee with a friend. A source previously told Us that one of the reasons the former couple split was distance. Theroux seemingly prefers New York, while Aniston lives in California.